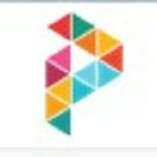 Printster.in is India's first online Document Printing Store. We are an online convenience printing store dedicated to YOU! Our aim is to give you access to quality products printing without wasting any time or energy. Printster.in is one of a... kind website designed while keeping in mind your daily printing needs. At Printster.in, we promise to provide unique, affordable and easy printing solutions.